Clean Well Water Report: Clean Water Made Easy Podcast! Clean Water Made Easy Podcast! The Clean Water Made Easy podcast is now live! In this episode, we’re going to cover the basics of how water wells work. It also goes over how to disinfect and sanitize your well. Also, I have a free gift for you, a well water cheat sheet and resource guide that I can send you. I created this guide as a companion to today’s podcast to make it easy to follow along with and has a well water treatment cheat sheet as well as an exploded view of how a typical well works. Has a nice diagram as well as a flow rate calculator guide so you can easily estimate what your well water flow rate is. And a step-by-step guide on how to sanitize your well. If you’d like to get your free copy, just text the word “wellwater” all one word, wellwater, to 44222 or go to cleanwaterstore.com/podcast and you get it there, we’ll get it going to you. In this episode we will cover the simple steps you’re going to take to find out the flow rate of your well pump. What’s the importance of this? You might wonder. Why should I find out what my well water flow rate is? Well, the flow rate is how many gallons per minute your well pump can put out. It’s important and nice to know what your well pump flow rate is and how many gallons per minute it can put out and then check it again a year from now. It just takes minutes to do so it’s easy to find out. It’s good to know if there’s any changes. In this podcast series I give easy-to-follow tips and information all about well systems, well water quality, well water treatment systems, and how to improve quality of your well water. In this podcast, we’re going over well water testing, well water testing. 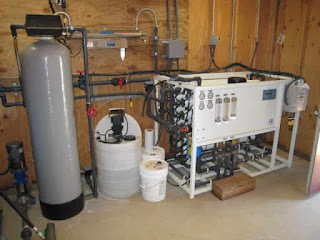 Basically, reasons why you should test your well water periodically, What to test for, How often should I test my well water, When to use a certified lab versus doing it yourself, and a test you can do yourself today at home without any test kit and get the basic idea of one of the parameters of your water. So you might ask, “Why should I test my water?” well, if you think about it municipal city water systems test their water routinely, regularly. They’re on top of it, making sure the water is safe and that means they’re required too anyway. But there’s no requirement to test a private well, except when you first have it drilled or maybe you’re refining in your home and they know you’re on a private well and they might want to a basic test for bacteria, perhaps nitrate, and few other things. 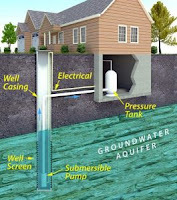 In today’s podcast we’ll cover how to do a physical inspection of your home well water system. This is a great way to identify and find out clues about what’s going on with your well water quality. There are some very simple things you can do. It is very enlightening. We’ll talk about how to do a physical inspection of your pipes and fixtures, how to do a toilet tank check, very interesting, and all about your water heater, how to inspect your water heater, what to look for in your dishwasher. In this series of the podcast, I’m giving useful, easy to follow tips and information all about well water, well water treatment systems and how to improve the quality of your well water. 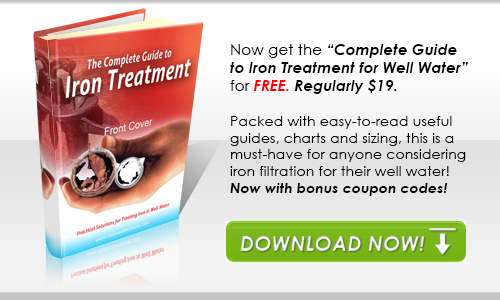 Today’s episode, we’re going to cover the basics on how to remove iron and manganese from well water.